This morning I woke up to shocking news about the terrorist attack that had happened last night at London Bridge and around one of the most popular markets in London. It’s terrifying. This is third terrorist attack in UK in three months, and I felt scared to live in London for the first time in 10 years. It’s sad because this is my second home and I love this city. This incident particularly hit me hard because it was carried out, not in particularly religious or political places, but in ordinary streets, bars and restaurants where ordinary people was just having good Saturday night outs. The location is just 5 min walk from my friend’s office. What if it had been Friday night and my friend had been having a drink with her colleagues after work there? What if it had been in Soho where I was having a drink with my friends? What if it had been my local market which is popular on weekend? These thoughts left me feel helpless and vulnerable. But my best friend, who also lives in London, texted me ‘Let’s not let them ruin our lives, otherwise they will win.’ She is right. Crippling us with fear is exactly what terrorists want, and we won’t let them have it. Britons would say ‘Keep calm and carry on’, and that’s the best resistance against terror. So I shall keep calm and carry on sharing children’s books that inspire me as an author/illustrator and a human. 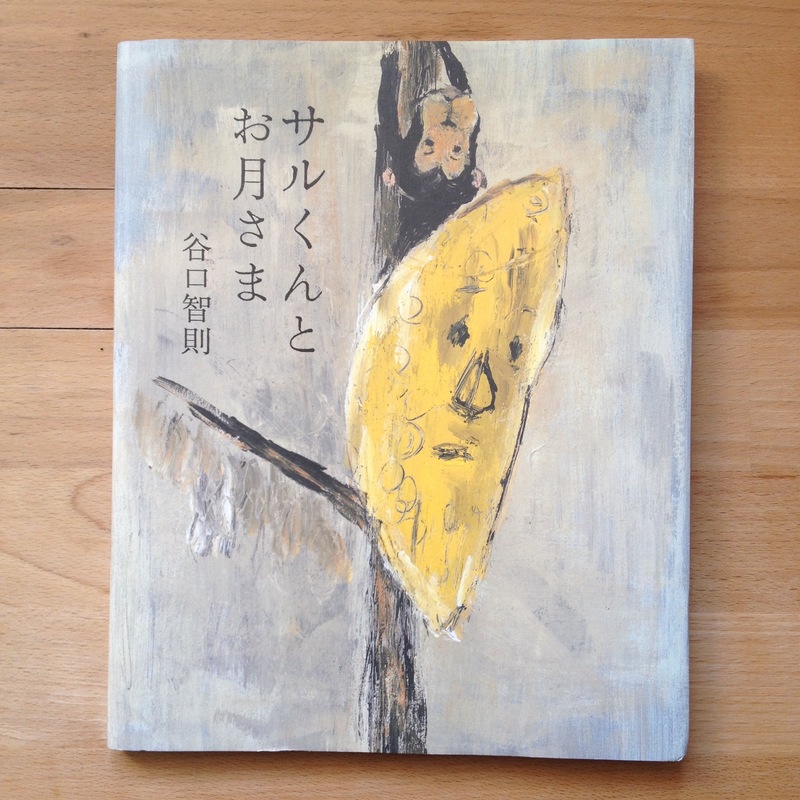 This month I would like to share サルくんとお月さま (Sarukun To Otsukisama/Monkey and the Moon) by Japanese author/illustrator Tomonori Taniguchi (Bunkeido 2016). I’m not sure if this book is available in other languages but actually it doesn’t matter much as it’s a word-less book. The story is simple: in forest a lonely monkey finds the crying moon who has fallen from the sky; the monkey climbs up the tree, carrying the moon on its back and returns it to the sky; and finally the monkey is no longer lonely because the moon always smiles at him from the sky. The Taniguchi’s illustrations are rather dark and rough, but they are filled with gentle sensitivity. It’s the binary that makes his illustrations so fascinating – bold but fragile, quiet but expressive. As being word-less book, the story is open to interpretations. It depends on your circumstance, mood, whom you read with/to etc etc. Today I read it as a story of compassion partly because that’s what I need now for the world. After these horrible heartless crimes, I fear for retaliations and hate crimes to follow. Unfortunately, some people react to hatred with more hatred. But, if hatred and fear are the foundation of violence, I believe it’s compassion and love that break the chain of violence. And this is what I want to share with children (and grown-ups). My thoughts are with all those people who got caught up in this hateful crime last night. Let us be strong and keep keeping on, London! For more about Taniguchi and this book, read this article.